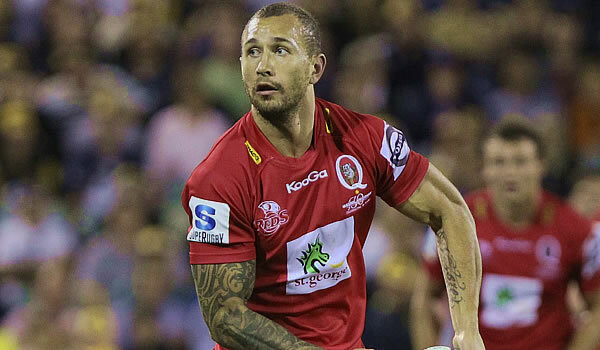 Reds Super Rugby coach Ewen McKenzie says that Quade Cooper could be the difference that wins the match for Australia against the British and Irish Lions. Cooper was left out of coach Robbie Deans’ initial 25-man Wallabies squad to face the Lions but he could l face the tourists this weekend playing for the Reds. McKenzie said Cooper could make the difference for Australia as he is the type of player who was capable of unlocking the Lions defence. Cooper’s mercurial qualities were on full display on Saturday when he went head-to-head with the Melbourne Rebels’ James O’Connor, Deans’s first-choice flyhalf, in the Super Rugby. “I don’t think anyone gets picked on one game,” McKenzie said. “Who knows what’s going on?” Farrell said in Hong Kong.